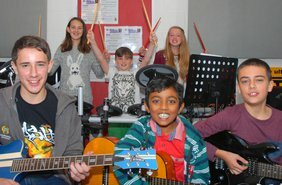 In addition to weekly music lessons, our students are welcome to attend our music workshops held at the studio, including our 'Band Jams' and "Drum Club". 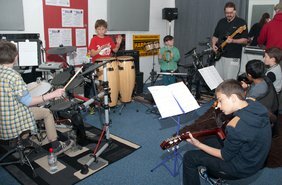 Our "Band Jam" workshops are fun sessions for our students to get to know fellow musicians whilst learning how to both play a song and perform it as a group. 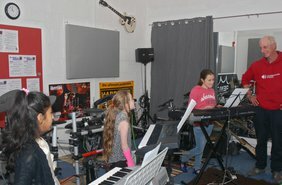 Our "Band Jam" workshops are normally held during school holidays and are advertised at the studio. Please see your teacher for details and to book your place.